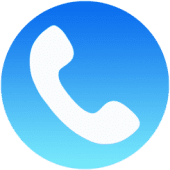 ★ Dial a phone number directly from your existing phone contacts. ★ One tap to record calls, the recorded voice files can be shared via email or other popular Apps. ★ Call conversation is securely encrypted. Prevent phone service from being blocked in any countries. ★ Easily purchase PAY-AS-YOU-GO phone call credits using Google Wallet right within the App. ★ No hidden costs, no connection fee. ★ Ask customer service for help at any time.